[The following is the text of a letter submitted to the Melbourne Age. It was not published.] 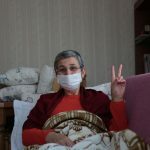 Kurdish MP Leyla Güven has now spent 90 days on hunger strike, calling for an end to the total isolation of imprisoned Kurdish leader Abdullah Öcalan. Despite being released from prison by a recent court order, Güven’s hunger strike continues. Over 300 Kurdish political prisoners – including MPs, journalists and academics – are following her example, at various stages of indefinite hunger strikes. At issue is Turkey’s harsh and punitive treatment of Öcalan, in breach of international human rights standards and Turkey’s own laws. Numerous bodies including the Council of Europe and the UK Parliament have called for a different approach and a negotiated solution to Turkey’s dispute with the Kurds. Yet Turkey’s ruling AKP-MHP regime under President Erdoğan has proved unbending in the face of all such calls. It was Öcalan and the PKK who initiated moves towards a peaceful resolution of Kurdish issues in Turkey in March 2013. After initial engagement, elements of the Turkish state sabotaged the process and began a campaign of extreme violence against the Kurds that continues today. A peaceful and lasting solution to the status of Kurds in Turkey is clearly impossible while Öcalan remains in isolation. Australia should support international demands for all MPs imprisoned in Turkey to be freed, for Öcalan’s isolation to be ended immediately and for the Erdoğan regime to enter into meaningful negotiations. We call on the Australian Parliament to add its voice to those in Europe and elsewhere who have put humanity and human rights principles first. This entry was posted in Australia, PKK, Turkey by AFK. Bookmark the permalink.